Those who travel regularly know that maintaining their routines helps them be at their best. If you’re an infrequent traveler, here are the top five things you need to do while on your business trip to come home as healthy as you left. Eat right. When we’re away from home, we’re out of our comfort zone. We’re with people we don’t know well, and we’re navigating a different city and its unique dynamics. While food is often equated with comfort, don’t buy into the myth. If anything, try to eat healthier while you’re away from home than you do when you’re at home. Don’t eat the heaviest meal, just because it’s on the company’s dime. Eating fruits and vegetables will help your digestion and keep you from feeling uncomfortable or run down. Avoid alcohol. Not to be a killjoy, but we all know that consuming alcohol decreases your mental sharpness and gives your body one more thing to try to process while out of its normal rhythms. Exercise. Keep doing it. If you belong to a fitness chain or franchise at home, you can usually go to the same one in whatever city you’re visiting without paying any more. 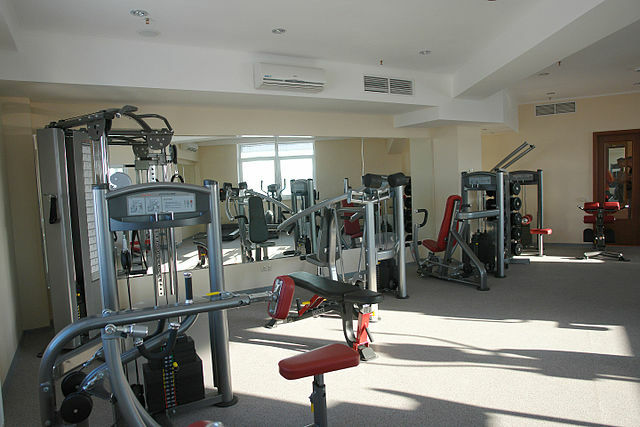 If you work out at home, use the hotel’s gym or pack whatever you need to work out in your room. No need to lose momentum just because you’re out of town. If you’re not an exerciser, consider making choices that will increase your physical activity, like taking the stairs to and from the lobby of your hotel or office, getting outside for a walk at lunch or after dinner. Even these small periods of movement will help alleviate stress and stretch muscles often kinked from sleeping in an unfamiliar bed or sitting too long in a meeting. Get enough sleep. Be sure you get enough rest each night. While getting enough shut-eye in a hotel can be difficult, give yourself the best possible odds by doing a few things. Don’t eat too late. Late-night digestion can keep you from getting into REM sleep. Don’t stare at screens. Turning off your devices and the television 30 minutes before you retire will signal your body to begin shutting down for the day. Use a white noise generating app to drown out the unfamiliar sounds of your environment (or just the loud blower on the heater) to help you go to sleep. Stay hydrated. If you’re not in the habit of drinking water throughout the day, pick up a bottle and make yourself drink it. Flying dehydrates us, and when we don’t give our systems enough water, they just don’t function as well as they need to. Coffee, soda, and fruit juice may be liquids, but they’re not as good as water when it comes to proper hydration, so stick with the H2O as much as possible. All these tips are really just common sense, but it will take some planning to incorporate them into your trip. Be good to yourself and treat yourself well by trying to stay healthy. Life isn’t all about work, and you want to stay healthy for the downtime you’ll have earned by the time you get home. How do you stay healthy when you’re traveling? Do you have any special strategies or tricks? Tell us about them in the comments below, on our Facebook page, orin our Twitter stream.